On the afternoon of October 28, a meeting summarizing activities on ethnic unity in Dehong is held in Mangshi. The meeting also marks the start of work on developing Dehong into a national pilot prefecture for ethnic unity and progress. Since 1983, Dehong Prefecture has set October as the month to promote ethnic unity. 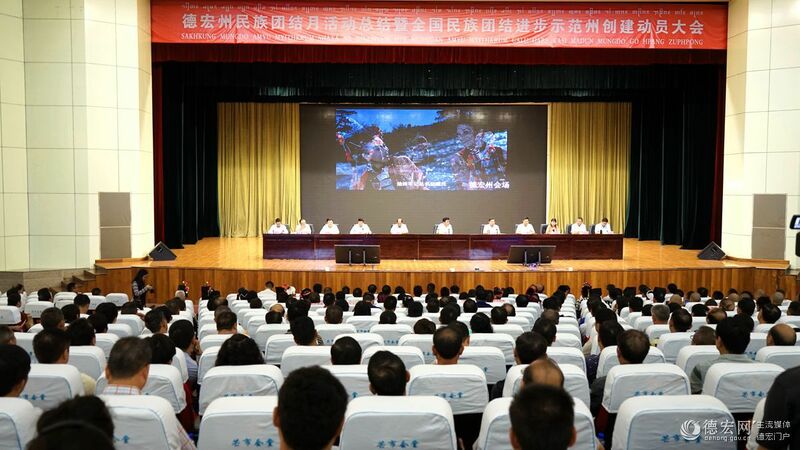 A series of activities themed on ethnic unity have been staged, achieving favorable results. Wei Gang, deputy secretary of CPC Dehong Prefectural Committee also acting governor of Dehong, attends the meeting and delivers a speech. He says, “The past 35 years have witnessed amity and harmony between people from different ethnic groups. The ethnic unity promoting month is widely supported by local people. With their efforts, people of different ethnic groups have achieved common prosperity.” He calls for departments at different levels to spare no effort in building national pilot prefecture for ethnic unity and progress. 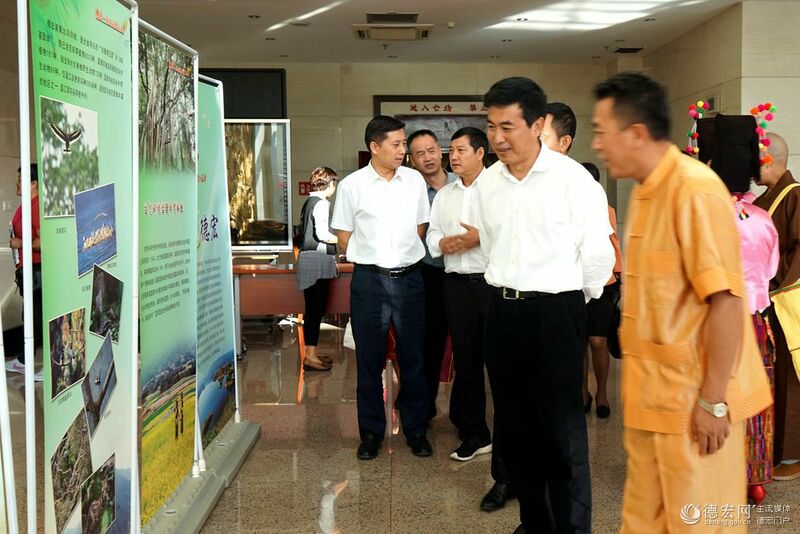 Wang Junqiang, secretary of CPC Dehong Prefectural Committee also head of Management Committee of Ruili Experimental Zone, maintains that developing a pilot prefecture for ethnic unity and progress caters to the need of sustaining security and peace in border areas. Social and economic development should be achieved through promotion of ethnic unity. Efforts are required in poverty elimination campaign. We should lift people from different ethnic groups out of poverty, not allowing any ethnic group lagging behind. Fostering ethnic unity demands friendly exchange and communication. 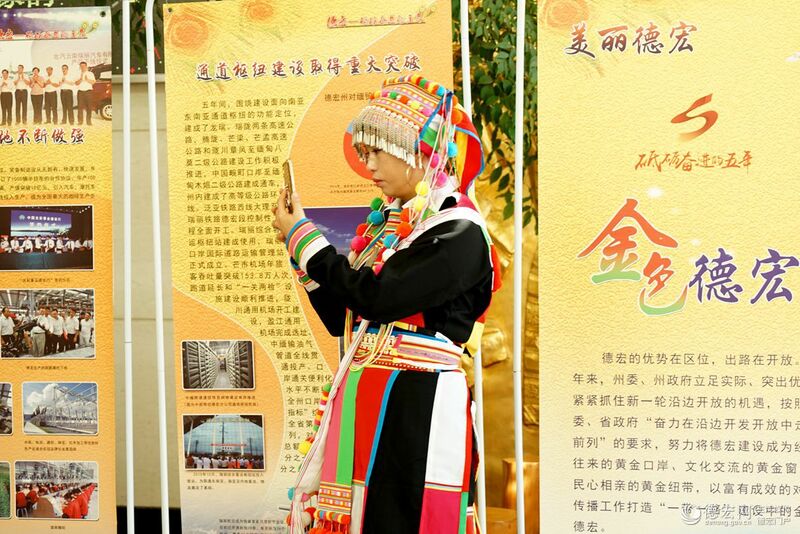 In recent years, to develop areas inhabited by ethnic groups, Dehong have made continuous efforts in improving facilities, fostering distinctive industry, promoting ethnic culture and building pilot areas for ethnic unity. Thanks to the efforts, numerous villages are becoming more and more beautiful and the villagers are getting richer and richer.